I have made so much of an effort to moisturise my whole body as I get older. 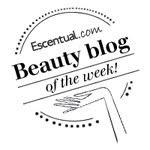 I don't particularly suffer from dry skin so it is tempting to skip on this step, the routine however is made easier when I find products that I really like. 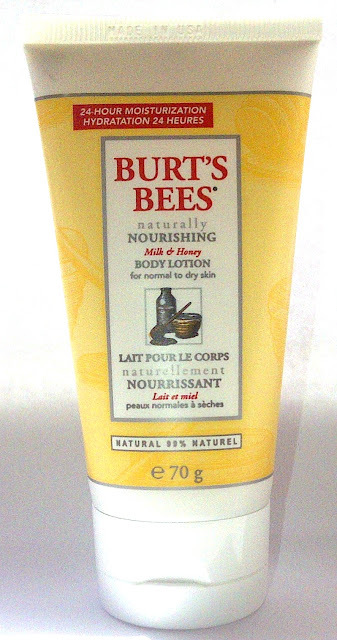 Burt's Bees Naturally Nourishing Milk & Honey Body Lotion (for normal to dry skin) was included in in April's 'Natural' GlossyBox . Although this is a lotion, when you squeeze it out of the tube it is quite thick. It melts quite easily into the skin, instantly softening it and making it feel satin smooth. Absorbing quickly with no greasy residue the milk and honey lotion is very pleasant and leaves skin feeling soft for hours on end. I like the fact that it is 99% natural. However, as you know I am really fussy about a scent of a product and whether I carry on using it depends a lot on the scent and if I like it. Personally the scent is not one that I particularly like.I thought it would be sweet but I find it to be a bit rubbery or plasticky. I have since passed the lotion on to my mother in law who reported back that she thought it was a fantastic lotion, it really worked. She loved it. Burt's Bees Naturally Nourishing Milk & Honey Body Lotion (for normal to dry skin) costs £5.99 for 70g. I loved this body lotion! I have the radiance one to use next and cant wait to use it! the smell didnt bother me too much, it didnt last long on me!